The village is siuated on the banks of the Afon Elwy (river Elwy). The village derives it's name from the church dedicated to Mary "Llanfair" and the bardic name of the poet and architect John Jones which was "Talhaiarn". Jones was born at the Harp Inn (now known as Hafod y Gan) which is situated at the top of the path near the church. The population of the village is 980, 44% being welsh language speakers. The village was once part of the Garthewin Estate. The first written records of Garthewin date to the 14th century, but both that house and later a Jacobean house were replaced in the 18th century by the present building which was subsequently altered in 1930 by Clough William-Ellis. Llanfair is accessible from the Abergele to Llanrwst road via an ancient three arch bridge that spans the Elwry and leads directly into the heart of the village. About 100 yards north of the old bridge is a more modern bridge that carried the main Abergele to Llansannan road across the river. Nearby is Myndd Bodran, a 287m hill which towers above the river, from where on a clear day, Snowdon and the north Wales coast can be seen. 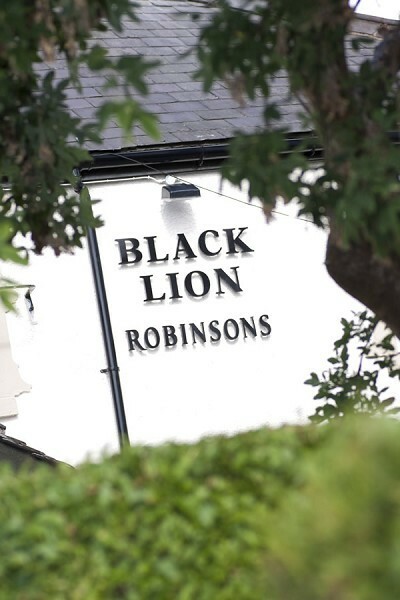 Frederic Robinson Ltd purchased the Black Lion in 1943, which was their first pub in North Wales. A major refurbishment and extension was carried out in 1982, with the removal of open fires in favour of central heating! We have five very comfortable letting rooms all tastefully decorated and en-suite. 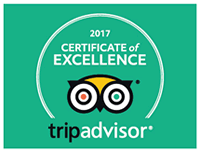 All rooms have flat screen televisions, tea and coffee making facilities. Iron and hairdryer are available on request.